Today, we ask the man behind the stunning British Racing Green MX-5 (@96BRG) some questions on what got him into cars and in particular MX-5s. 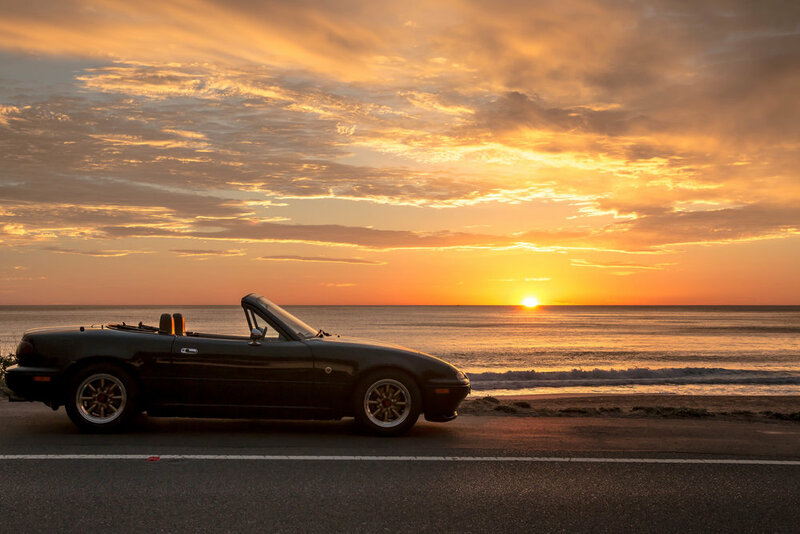 Check out 5 tips to improving your car photography to get some great shots like Stephen's! 1. 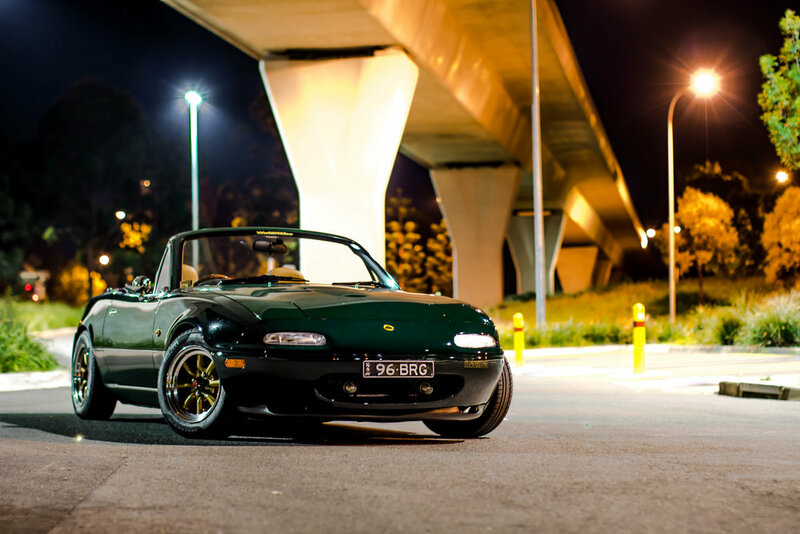 Why and when did you purchase your MX-5, what exact model is it and why did you choose the green? Is it your only car? 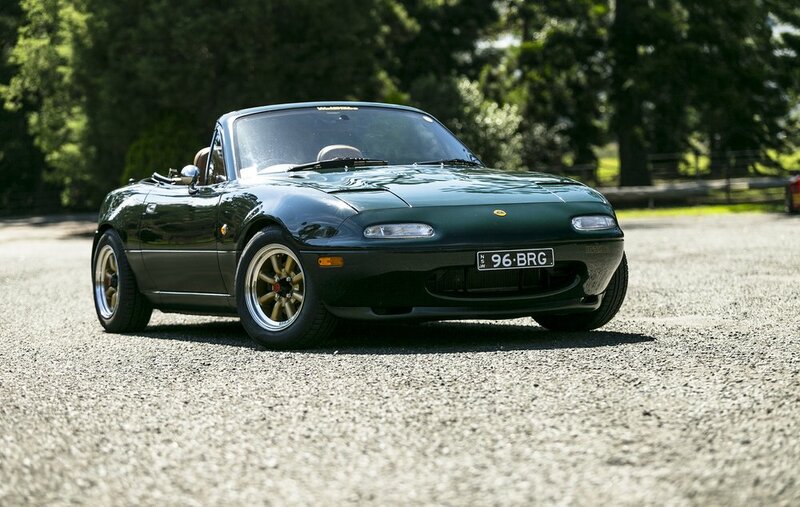 I own a 1996 Australian delivered NA8C MX-5 in British Racing Green (BRG) that I purchased back in December 2015. At the time I also had a MK6 Golf R. It was my daily driver and I had modified it to suit my tastes but after a period of over five years ownership, it was pretty much complete and there wasn't much else I wanted to do to it. My Golf had a DSG gearbox and I wanted to get back into a fun, manual car. I missed shifting gears and that connection between man and machine is lost in a DSG (albeit it was very fast at shifting through the gears). The BRG colour with tan interior wasn't something I was initially attracted to, but after seeing my friends car who also has a modified BRG MX-5 and realising what it could look like with some tasteful mods, I decided to get one and mod it with a vintage/retro vibe. The MX-5 is not a daily as that duty is being done by a proper A-to-B car, AKA an N16 Nissan Pulsar automatic! 2. What made you start an Instagram and Facebook page for your car? When did you start it? What made you get into photography and in particular car photography? I have always created a build thread for my cars and the MX-5 was no exception. I started an IG as more of a photo journal after getting inspiration from @MelbourneMX5, which showcases some awesome photography of a red NA8 MX-5 cruising the streets of Victoria and I created an FB page after coming across the FB page "1GZFE V12 MX41 Toyota build". This is a build about a 1979 Toyota MKII Corona being fitted with a 1GZFE V12 motor with ITB's based in New Zealand. The IG and FB page along with the build thread is so that I can document and share my journey with the MX-5 as I have with all of my previous cars and it's my way of keeping a diary/log of what has been done. I'm only very new to car photography, having only just started playing around with a DSLR around July of last year. A few of my friends are photographers as well as being car enthusiasts and you would regularly find them at different meets and events taking photos of all types of cars. I got into it because I just wanted to learn how to make a car look attractive in photos. It's definitely a skill. Anyone can take a photo of a car but what differentiates one photo from another might be how angles, lighting, distance, etc are utilised. This can result in a photo from looking mediocre to amazing. 3. What photography gear are you using? I'm using a Canon 70D DSLR, Sigma 18-35 F1.8 Art lense, Canon 50mm F1.2 and 24-70 F2.8 L lense. The Sigma is mine but the two Canon lenses I'm lucky enough to be borrowing from two good friends of mine to practice with. Camera gear is expensive! As I get better with practice I'll probably start spending money on lenses too. For now though, extremely grateful to be borrowing some great equipment. Thanks Joe and Nate! 4. When do you feel is the best time of day (or night) to shoot your car? I feel like that it depends on the location but I personally like the sunrise/sunset. Probably about half an hour before sunrise and up to half an hour after sunset. 5. Do you think you are experiencing growth on your MX-5 IG page purely due to good content or are you using relevant hashtags/tagging relevant accounts in your pics? I'd say it's a mixture of both. Instagram is a photo-sharing app so having good quality photos definitely helps. Hashtags and tagging can also help reach a wider audience, which in turn may lead to growth in followers. In my opinion, it's all about the quality of the content. The content must be good first in order for you to experience any sort of growth. 6. If you had one tip or photographic rule that you wish you had known/explored when your first picked up a DSLR what would it be? I'm still very much a beginner and always willing to learn but I wish I had known about the rule of thirds when I picked up a DSLR. Before I knew this, photos that I took were based on feel. While I still believe this isn't necessarily a bad thing, using the rule of thirds would have definitely helped enhance the photos I was taking.